Article INTRODUCING… THE TOMB OF ANNIHILATION GUILD ADEPTS! 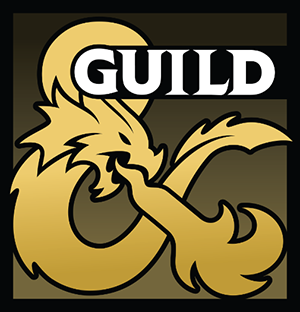 The Dungeon Masters Guild has thousands of products available from hundreds of Dungeon Masters. You might be asking yourself, “Which of these are the best?” Well I’m here to introduce you to 10 of the most exciting authors to grace the guild with their work. That’s right. These are our Tomb of Annihilation Guild Adepts, and they have some fantastic products lined up for our September 8th launch. First, I’ll provide you with a bio for each of our budding designers, and then we’ll discuss what’s coming next. Hang on tight to your smart phone as these talented folks literally explode off the screen. HERE’S WHAT YOU HAVE, TO LOOK FORWARD TO! No Tomb of Annihilation campaign is complete without this collection of more dinosaurs… and more zombie dinosaurs! Behold eleven new dinosaurs, including the legendary gigantosaurus and titanosaurus, and twenty-two new zombie dinosaurs with terrifying and unique necrotic abilities. Find out more. The characters lose someone important to them… and there’s no way to bring that person back. Can they stop others from suffering the same fate? Will they risk their own souls to uncover the source of the death curse, hidden underneath a lich’s tower? This introductory adventure for 1st level characters is a prelude to Tomb of Annihilation. Find out more. In Port Nyanzaru, danger and wonder lurks around every corner! The DMs Guild Adepts got together to bring you a series of short encounters that can be dropped into any Tomb of Annihilation campaign to enhance the rich, vibrant city. Find out more. A group of adventurers are tasked to uncover a secret that lies deep within a forgotten sanctum, one protected by those who still practice the old teachings of Chultan magic. Their failure spells doom for one of their companions, while success will bring upon the wrath of an ancient order of zealots. Can the party solve the mysteries of the forest temple before they are overtaken by the fearsome Mage Hunters? An adventure for levels 5-10. Find out more. The dead are walking the jungles of Chult. The ruins of Matolo are rumored to be their destination. What has awoken to lure the creatures there? Perhaps it is there where the cure to the curse that plagues Toril can be found. A Dungeon & Dragons adventure for characters of levels 5-10 that takes place in the jungles of Chult. Find out more. A collaborative project of short encounters in Port Nyanzaru (see above). The Old City has its own way of deterring criminal activity, an old Amnian arena in the middle of Executioner's Run. What happens when it is used to aid in an assassination attempt? In Chult’s Valley of Dread, warring tribes of lizardfolk have kept each other in check for centuries. As the tribes slowly fall under the sway of a new leader, omens point to the return of an ancient threat. Adventurers from a far-away realm find themselves in the middle of the fray. Their heroics could save the land from terrible evil, or could play a part in bringing about doom! Return of the Lizard King is an adventure for characters level 1-4, playable as a lead-in to Tomb of Annihilation. Report your players’ decisions, and see how they affect a forthcoming high-level adventure in the same setting! The adventure also includes new playable races, class archetypes, backgrounds, feats, spells, and monsters designed specifically for this adventure and for Tomb of Annihilation. Find out more. Ancient Mezro lies silent and ruined, her treasures plundered by foreign explorers. Flaming Fist mercenaries have staked a claim to the site, but they aren’t the only ones seeking to unravel its hidden mysteries. Other, darker powers have set their sights on its secrets. Ruins of Mezro is a complete Dungeons & Dragons adventure site for characters of level 1-15, providing everything you need to run freeform adventures in the ruined city. Find out more. While success in commerce is the main path to power in Port Nyanzaru, being a descendant of one of the old royal families can open some doors. A young man believes he has found proof of his family’s tales of past glory. Does his map really lead to a lost palace or is this simply another fruitless search for past glory? A Dungeons & Dragons adventure for characters level 5-10. Hidden in the jungles below the fuming volcano of the Sky Lizard Mountains lie the ruins of Hisari, Chult's once mighty yuan-ti city forgotten, abandoned and swallowed by the earth. Explore the underground temple and its buried secrets to discover what destroyed this empire one hundred years ago and why no yuan-ti dare return. "Ruins of Hisari" is an adventure for characters levels 11-16 and can be played as an expansion to Tomb of Annihilation or as a standalone adventure. Find out more. WANT TO KNOW WHO WE’RE TALKIN’ ABOUT? Trapped in a world she never made, adventurer Cindy Moore roams the continent in tireless pursuit of board games and dice, which are the trade bars and gemstones regarded as wealth on her native plane. Active both as a GM and RPG player for over 30 years, Cindy has participated in several organized play campaigns since the release of 3rd edition and began her RPG-writing career as co-author of the Land Ho! mini-campaign setting for EN Publishing. Since that time, Cindy has authored several AL adventures including DDEX3-03: The Occupation of Szith Morcaine, DDEX3-12: Hillsfar Reclaimed, DDAL5-14: Reeducation, DDAL5-15: Reclamation, and HILL1-3: Resurgence. 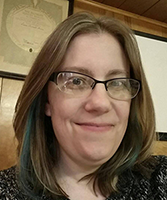 Cindy is now the coordinator and administrator for the Hillsfar region series of AL adventures from Baldman Games. Somewhere along the way, she spent the required downtime and lifestyle-appropriate resources to secure a BS in History and a Master’s Degree in Library Science. Cindy is also one of the organizers for her annual home-town gaming convention, Queen City Conquest in Western New York. When she is not out saving the world by rolling dice and moving minis, Cindy spends her downtime with the rest of her adventuring party: her cohort, their two halflings, and an animal companion. Claire started playing D&D in the late 70’s while living in Minnesota. After moving back east she eventually settled in Philadelphia and joined a home group. Her first GenCon was in ’86 and she joined the RPGA. Running the Dragonlance series of adventures was her first experience as a DM. She met her husband, Keith, at GenCon and they were married shortly before GenCon 1991. Now a resident of Ohio, she gradually became more active in the RPGA as both a player and DM. Her first published D&D piece was an article in Polyhedron on the druidic circles of Raven’s Bluff. 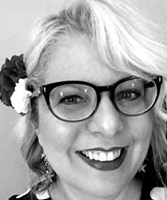 Encouraged by her fellow GenCon DMs, she approached Robert Wiese, then the head of the RPGA, regarding ideas for improving the RPGA’s Living Death campaign. He responded by appointing her to be the LD Guru, basically an advisor for historical aspects and campaign continuity but also for overall plot management. In January of ‘97, she became the Campaign Manager for Living Death, responsible for all aspects of the campaign. She spent the next ten years talking authors into expanding their ideas for an adventure or trilogy into minor and major plot threads that could span the ten years the campaign was to exist. Living Death had its finale at D&D Experience in February of 2007. Besides her administration duties, during that time she also wrote a d20 conversion of the campaign for 3e, 26 adventures and 9 interactives. In addition, she was one of the authors of the 3e Masque of the Red Death published by White Wolf. Her break from campaign staff work was a bit shorter that originally intended, due to the announcement of the Living Forgotten Realms campaign (LFR). The lure of her favorite campaign setting, as well as having something to focus on besides her breast cancer treatments resulted in her and Keith applying for a joint staff position. Together they served as Co-Writing Directors of Waterdeep for LFR. Later she accepted a promotion to being one of the four Global Administrators for the campaign. Still enthusiastic about the Forgotten Realms and organized play she currently is the Assistant Content Manager for D&D Adventurers League. Claire and her husband live in Ohio with numerous cats, dragons and books all vying for their attention. Since the age of nine, James Introcaso has loved Dungeons & Dragons. He made his name as a podcaster on The Tome Show as the host of the Round Table. Now, he’s the co-owner of the D&D-loving Don’t Split the Podcast Network and host of its premiere RPG talk show, Table Top Babble. When it comes to game design, James is no commoner. He has worked with Roll20, Kobold Press, Roleplaying Tips, Baldman Games, and Sly Flourish. In addition, James is the author of many best-selling DMs Guild titles, including the platinum Adventurers League module A Dish Best Served Cold, and the ENnie-award-winning World Builder Blog. 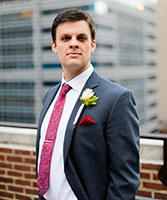 James lives in Silver Spring, Maryland with his amazing partner Bonnie. Lysa is a former journalist turned youngest executive (head of marketing) at a national restaurant company. After five years climbing the corporate ladder, she left her cushy but unsatisfying job for the next big adventure, which turned out to be adventuring. During her year off, she discovered Dungeons & Dragons and enjoyed the luxury of being, essentially, a full-time adventurer, which is how she found Adventurers League. Wanting to share what D&D had given her—the sense of community, lasting friendships, and more confidence than she’d ever had before—Lysa turned her energies to growing her state's AL community. 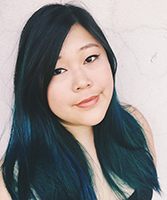 Lysa Chen is a writer, floral designer and occasional sorceress named Mercy. In addition to designing with fresh-cut flowers in the daylight, this all-around creative and curious soul also paints, knits, sews, silversmiths, soaps, weaves, dyes and gardens... but she is perhaps best known as an organizer for Dungeons & Dragons Adventurers League. Passionate about building tabletop communities and supporting the game shops that host them, Lysa specializes in creating epic experiences for mass raids of up to 100 gamers, which is what caught the attention of Adventurers League administrators who recruited her as a writer. Lysa's adventures for Adventurers League Season 7 and the Role Initiative will be premiering at conventions November and December of 2017. Lysa also is proud to be the first female dungeon mistress at her friendly local game shop, where she is known as "Lysa the Mercyful" and known for rolling terribly on initiative. Monica Valentinelli is a writer, artist, and game developer who lurks in the dark. She writes both original and media tie-in fiction and works on games and comics, too. A frequent guest at conventions, Monica is best known for creating the Make Art Not War 2017 Challenge, and her work related to the Firefly TV show by Joss Whedon. She was the lead writer and developer for the award-winning line of Firefly RPG books, and also wrote the Firefly: The Gorramn Shiniest Language Guide and Dictionary in the ‘Verse which was released from Titan Publishing in April 2016. Her published stories and games also include “Tomorrow’s Precious Lambs” for Extreme Zombies, “The Dig” for the Lovecraft Zine, Dread Names, Red List for Vampire: the Masquerade, and “In Volo’s Wake” for Dungeons & Dragons Fifth Edition. Last year, Monica successfully ran a Kickstarter for her co-edited anthology titled Upside Down: Inverted Tropes in Storytelling from Apex Book Company. The collection, which earned a Publisher’s Weekly starred review, was released in December 2016. Her debut comic Last Man Zombie Standing was published in 2013 as part of the Unfashioned Creatures: A Frankenstein Anthology from Red Stylo Media. You can discover more of the author’s creative fiction through her list of published stories or her list of published games. 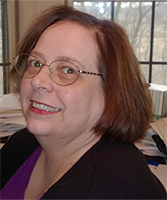 Monica’s non-fiction repertoire spans both digital and print works and includes online articles, worldbuilding games, reference materials, and essays. She has written for sites including HowtoWriteShop.com, Sony’s Crackle.com, SFWA.org, GeeksDreamGirl.com, and BookLifeNow.com. Her essays have appeared in books such as Family Games: The 100 Best, The Bones: Us and Our Dice, and For Exposure: The Life and Times of a Small Press Publisher. Monica holds a B.A. in English with a Creative Writing Emphasis from the University of Wisconsin-Madison. She lives with two very spoiled cats nicknamed Lord Lardbottom and Captain Whinypants, an albino water frog named Al, and her long-time partner. In addition to writing and editing, she enjoys traveling, designing jewelry, cooking, taking photos, gaming, watching anime and martial arts movies, exploring old places, and hiking. She is represented by Jennie Goloboy from Red Sofa Literary. 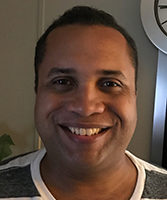 Rich Lescouflair is a designer, writer, and cartographer focused primarily on favorite hobby of roleplaying. In addition to freelance work for D&D Adventurer's League and the DM's Guild, Rich publishes under his own company name, Castle Skydawn Design. 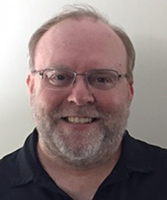 He is also a co-owner of Alligator Alley Entertainment, in which he is lead designer for the Esper Genesis RPG, the upcoming sci-fi rules and setting for 5th Edition. A born and raised New Yorker, Rich is a long-time tabletop gamer who has played and loved role-playing games since the early 1980s. Already a fan of fantasy novels and “Choose Your Own Adventure” books, Rich had been writing stories since he was in grade school. After getting benched in Phys Ed class for fighting, Rich looked over to his former enemy and saw him reading a strange book with some fantasy art on the cover. He then made an astonishing Charisma roll by asking his yet-to-be friend what the book was. The next 30 years that followed would never be the same. Since then, he’s delved into all sorts of tabletop RPGs from D&D to Shadowrun, Rifts, World of Darkness, Star Wars, and many more. He has combined this with his years as a video gamer which tends to creep into his writing style with effects between a ripple and a force of a thousand suns. Decorated US Army OIF/OEF Veteran, Actor, Writer, Voice Over, and Award Winning Dungeon Master & Creator. Ruty's expertise spans multiple platforms, with work alongside all the major studios on titles such as Argo, Fury, Finest Hours, Magnificent Seven, the recently released Growhouse by Snoop Dogg & DJ Pooh, and The Wall directed by Doug Liman. When not acting, voice acting, or writing for film & television, Ruty is writing content for Dungeons & Dragons, and a host of other RPG publishers and game designers. He loves gaming with attendees and is currently planning the future content as Dungeon Master of the amazing Maze Arcana titles, Orphan Echo, Peanut Gallery… and Fury's Reach: The Map to Ruin, an upcoming series on the Stream of Annihilation. Shhhhh…. Somehow, he finds the time to stop for panels on the convention circuit—recently at Gary Con, Emerald City & Los Angeles Comic Cons, Winter Fantasy. You can also catch him next alongside his Maze Arcana co-creator Satine Phoenix (@SatinePhoenix) at Gen Con, where they will run a live-game and seminar on the nuts and bolts of streaming, both of which you can sign up for on the Gen Con Events webpage. If you miss Gen Con, catch him on the Extra Life Charity Celebrity Table stream live from Gamehole Con & at PAX West for a panel on streaming with Satine, Chris Perkins & Chris Lindsay. Satine Phoenix is Co-Creator of Maze Arcana, Host of GM Tips on Geek & Sundry, Cast of Geek & Sundry's Sagas of Sundry: Dread on ProjectAlpha.com, Founder of CelebrityChariD20.com & Meetup.com/LATabletopGamers, Co-Author of The Action Heroine's Journey & Co-creator & artist on New Praetorians, Co-Host of TSR's Game School Podcast, Jewelry Designer & freelance Illustrator on Burningquill.com, OG Crew of I Hit It with My Axe web series 2010. You can read about her Gaming Escapades over the years on i09.com, Wired magazine, Maxim & Time Magazine. Artist-Entrepreneur-Entertainer: Satine spends her time surrounded by decadence, doing the things she loves most: Working/Playing D&D with her friends, Illustrating, drinking coffee, working out & traveling to various gaming events around the world with her Maze Arcana Co-Creator, Ruty Rutenberg. 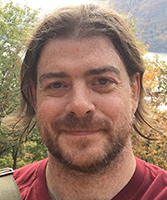 Shawn Merwin is a game designer and editor whose work in the roleplaying game industry has spanned 17 years and over 3 million words of content. His professional work on Dungeons & Dragons has ranged from 3rd to 5th edition, showing up in sourcebooks, adventures, articles, and Organized Play administration. His first credited work was a potion in issue #65 of Polyhedron Magazine in 1991. Ten years later he became an administrator in the Living Greyhawk campaign. He has gone on to be a driving force in several other D&D-based Organized Play programs, including Living Kingdoms of Kalamar, Xen'drik Expeditions, and Living Forgotten Realms. He has also written six adventures for the D&D Adventurers League, and manages Convention Created Content for Baldman Games. For 4e D&D, Shawn contributed to many projects and convention games. In addition, he worked on the published products Dungeon Delve, Assault on Nightwyrm Fortress, and Halls of Undermountain. The also took part in the design of two consecutive seasons of the D&D Encounters program: War of Everlasting Darkness and Against the Cult of Chaos. During the D&D Next playtest he contributed to Ghosts of Dragonspear Castle and co-design the convention adventure Confrontation at Candlekeep. For 5e D&D, Shawn continues to create convention content and other offerings, for Wizards of the Coast and elsewhere. He wrote the Acquisitions Incorporated adventure Quest for the Bronzebottom Bock, contributed 6 adventures to Kobold Press's Book of Lairs, designed the supplement Dragon Magic for KP's Deep Magic series, and wrote a CCC adventure for Gamehole Publishing. For Encoded Designs he helped design and edit several D&D products, including The Five Temples of the Earthmother: Life and Moon, Halaster's Maze of Madness, and The Book of the Tarrasque. Shawn works on RPGs away from the friendly confines of D&D as well. He contributed to the acclaimed supplement The Dracula Dossier for Pelgrane Press's Night's Black Agents game. He wrote the first adventure for Modiphius Entertainment's Star Trek Adventures game. In addition, Shawn has edited books from Encoded Design's for Fate Core (Part-Time Gods of Fate), for Paranoia (The Big Book of Conspiracies: 30 Treasonous Paranoia Plots), for Dungeon World (Dangerous Space Jail), and many others. When he is not writing or spending time with his wife and daughter, he is thinking about games. He co-hosts the Down with DnD podcast (http://misdirectedmark.com/category/mmproductions/down-with-dd/) in the Misdirected Mark Network, where he talks about the brand and the game of D&D from a variety of angles. You can follow Shawn on Twitter at @shawnmerwin. Will first encountered RPGs back in 1984, when his godfather bought him a boxed copy of the Call of Cthulhu RPG. Its madness proved too much for his young mind to comprehend, so it wasn't until the Dragon Warriors game was released a year later that Will got his first chance to play for real. That epic campaign led to years of forays into different rules systems, until he settled with the two games that he plays consistently to this day: Call of Cthulhu and Dungeons and Dragons. Will has written many adventures for Dungeon magazine and the D&D Adventurers League, including a number of multi-table D&D Epics events. Most recently, his dreams of contributing to an official print product came true when Chris Perkins asked him to create maps and encounters for Storm King's Thunder and Tomb of Annihilation. Will lives in the UK with his fiancée Stacey and their daughter, Roxanne.